The Devil's Handshake is a fun Hornitos Tequila cocktail that pairs fresh ginger puree with pineapple and egg white and it is perfect for any occasion. The Devil's Handshake is a pleasant mix of fruits and tequila. 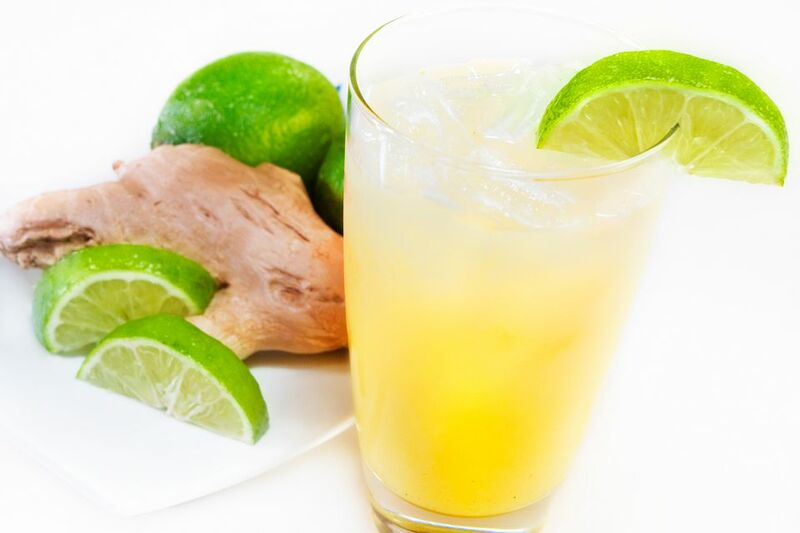 It is both semi-sweet and tart, yet it is the ginger puree that makes this drink really sing. This single ingredient adds a subtle sweet and spicy aspect that brings an extra layer of depth to the drink. As far as the egg white goes, I think it's essential for creating a smooth texture and bringing all of the flavors together. Though, if you're inclined, you could skip it without having too much of an effect on the drink overall. Making a puree from a fresh ginger root is an easy way to add the sweet-spicy flavor to your cocktails. All you need is a blender or food processor and an available ice cube tray. Cut thin slices of fresh ginger and process in a food processor or blender until smooth. Optionally, add a teaspoon of sugar. Place the puree into an ice cube tray and freeze. Once frozen, place the cubes in a bag or sealed container in the freezer until ready to make a drink.. Depending on the size of your ice cube tray, one average-sized cube will contain about 2 tablespoons of ginger puree. That means that you can get about 6 Devil's Handshake cocktails out of one cube. If you tend to make just one or two drinks at a time, use a tray that makes smaller cubes. When you're ready to make the drink, pull out a cube and allow it to thaw while you gather the rest of the ingredients. It takes just a few minutes, but it is best to think ahead. How Strong Is the Devil's Handshake? The tequila is the only liquor in the Devil's Handshake and the remaining ingredients take up a lot of the drink's volume. That makes this cocktail a pleasantly mild one when it comes to its alcohol content. When made according to the recipe above, this cocktail is right around 11 percent ABV (22 proof). Hornitos Plata is the silver tequila in the brand's portfolio. It is a clean tequila that is crystal clear and has floral and earthy notes to the taste. It may not be considered the best tequila, but it is a good choice when it comes to making flavorful cocktails like the Devil' Handshake. Hornitos is produced by Sauza Tequila in Jalisco, Mexico just outside the town of Tequila. They also produce a reposado, añejo, Black Barrel (añejo finished deep-charred barrels) and two flavored tequilas, Spiced Honey and Lime Shot.